Tea and cake, the perfect combination! You are here: Home / Domesticity / Tea and cake, the perfect combination! 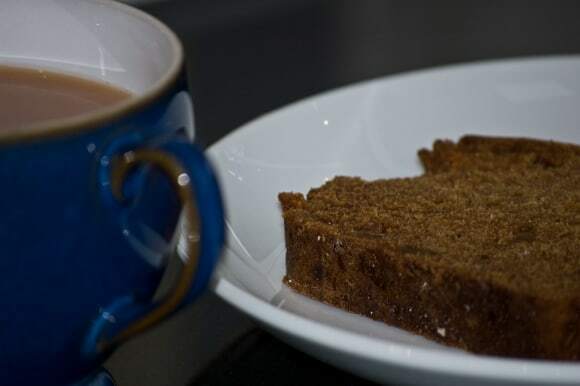 A hot strong cup of tea and a slice of cake is just what you need on a Saturday afternoon. You do of course need to put in a fair bit of effort in the garden to justify the calories although I don’t need much of an excuse to partake in a sweet treat. I can tell you that today’s slice of sweetness was exceedingly moist and tasty. The perfect contrast to the hot tea. 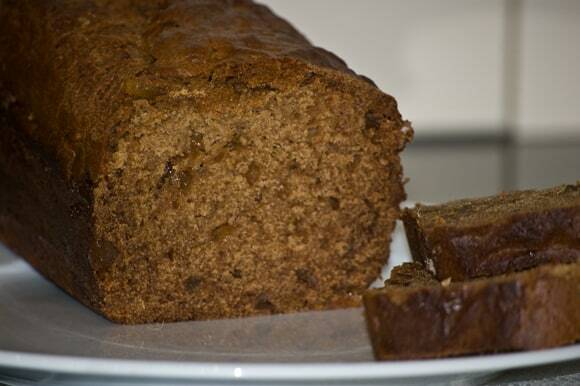 Today’s baking adventure was a gingerbread loaf – with real bits of ginger to really give it a kick. This is a first time with this recipe so fits with my recipe exchange which has been on hold whilst my in-laws were on vacation. Now they are back it’s time my mother-in-law started to widen her repertoire again. The thing I like about this cake is that you make it in a saucepan. No beating eggs and flower till it’s light and creamy. 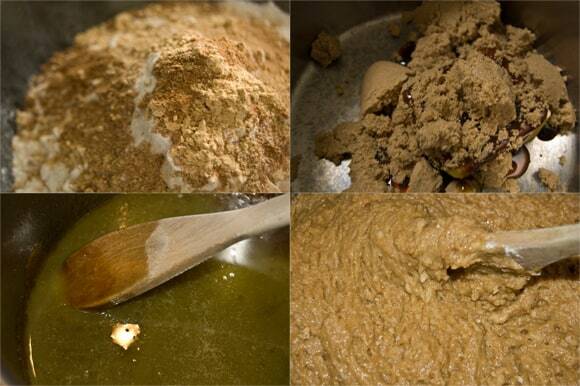 Rather you melt butter with sugar, molasses and golden syrup in the pan and then mix in milke and then the dry ingredients. Easy. This is the ingredient I love the most. Crystallised ginger – the real thing – it has a hot sweet kick. This was my ideal cake consistency to deal with. 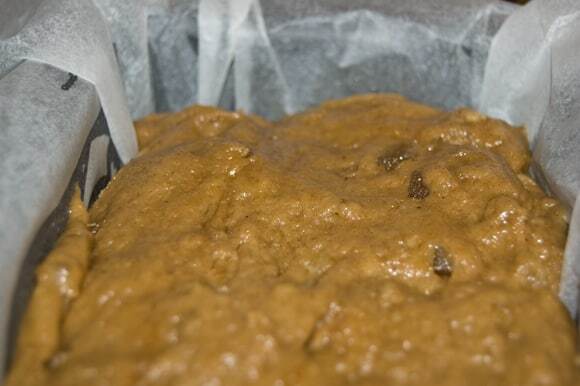 Very thick and gloopy, it plopped into the loaf tin without spilling and slopping all over. It turned out fine. Not quite and dark as it should as I actually used treacle rather than molasses which I’ll definitely use next time! Once again I left it a few minutes too long – I now realise (after reading the oven instructions) that I should reduce recipe times by 10 minutes as the fan oven in our cooker has supercooking powers. It didn’t matter it had a slight crunch before you break through to a soft and rich slice. Despite the small variation in recipe I’ll definitely do this again. When I’ve finished this one of course. I might even try out icing the next one. This is because this cake is the closest I’ve got a ginger cake to one I used to buy from our local bakers when I lived at home. My mum used to order bread there and as well as collecting the bread order for the week we always picked up some ginger cake to take home. I think it’s the real ginger that makes all the difference. I’m not sure it would be right for me to publish the recipe in full for Jo Segar’s copyright reasons but if you want me to email you the recipe I’ll be happy to do so, just leave me a comment. I will of course be sending it to my mother-in-law as I’m sure that the family want a variation from the Christmas muffins she perfected whilst here in New Zealand and has continued to practise! Looks mouthwatering, Julie! Perhaps you could e-mail it to me, please? I have yet to try the rhubarb cake. Grandad said his rhubarb is not really ready to use yet, it’s a bit on the thin side at the moment. He did suggest that I raided Sheila’s and Bob’s while they were away but I couldn’t do that. I have bought a new Kenwood food processor as my old one bit the dust many moons ago and I didn’t replace it. I made Nanna some scones and Grandad a Victoria sponge cake – both were highly praised I’ll wait a little longer for Grandad’s rhubarb but perhaps I should buy some so that I can make it for him. 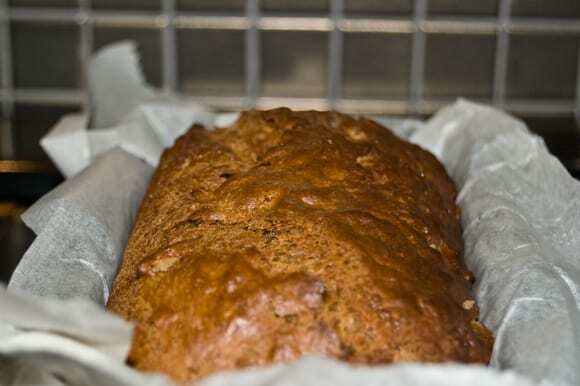 I must admit that I have enjoyed my recent baking which surprised me as you know me and cooking! Ooooo, thanks for that! Looks absolutely mouth watering, especially when photographed with such Domestic Executive flair! Looks great, just like my Mary Berry cookbook. It’s not just Satudays though. I think Queen’s birthday mondays are pretty good for a bit of tea and cake. Interestingly, since coming to NZ I’ve re-invigorated my love of tea. Not that the Kiwis have a great selection, but I found cofee is keeping me awake – even only 8 cups a day!!! Can you belive it! Actually, if you can recommend a good tea bag I’d be greatful. Even the PG tips here tastes subtly different.